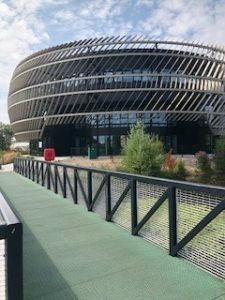 I am writing to introduce the Energy For Business Programme which the University is currently running.This is likely to be of interest to businesses that you and your colleagues are working with.The Energy for Business programme is running for the next 2 years until April 2019. Our initial offer is 2 to 3 days’ worth of funded (free) consultancy time via the energy innovation and collaboration team working with academics from across the University. Our mission is to help businesses to become more energy efficient by helping them to adopt energy efficiency measures and renewable energy technologies, and to support those working in energy innovation. Businesses in the D2N2 region (Nottingham, Nottinghamshire, Derby, Derbyshire) who are classified as SMEs, can access funded support, part funded by the European Regional Development Fund. There is also the possibility to utilize postgraduate placements to undertake specifics projects of longer duration. (up to 200 hours typically).There will shortly be some capital grant funding available which will provide funding of up to £10,000 (50% match funding required) to support companies working within the programme. If you have any clients who might be interested we would be very happy to talk to them. It could save them money or help them to innovate. Although the case of British Gas v Lock is now being considered in the Court of Appeal, there is no change in the decision that holiday pay should include commission. The reason for this is that employees who earn commission should not be paid less just because they are on holiday. The fundamental principle behind the Working Time legislation is to ensure that employees take adequate rest breaks. The rationale for this decision that holiday pay should include commission is that there is a risk that employees who receive basic pay only during holidays may be more reluctant to take holidays because they will be paid less. The natural person requirement in section 87 of the Small Business, Enterprise and Employment Act 2015 took affect in October 2016. This adds a new section in the Companies Act 2006 that prohibits corporate directors. This means that Directors must be living people and not limited companies or LLPs. There will be a 12-month grace period, after which any current corporate directors will cease to be directors. The Trade Union Act 2016 received the Royal Assent in May, however there is no commencement date yet. Because of the Act, employees who provide essential public services can only legally strike if they have the support of at least 40% of eligible trade union members. Currently they only need 50% of those who voted. Also there will now be a requirement to provide 14 days’ notice of industrial action, which is double the current requirement of 7 days. ‘Prescribed persons’ under the whistle-blowing legalisation, such as the Charity Commission, FCA, HSE and other regulatory bodies, will now be required to produce annual reports on all whistle-blowing disclosures made to them. These reports will of course not contain the names of those who have made the disclosures. Most types of public sector employee exit payments will be capped at £95,000. It was stated that these regulations would “not come into force before 1st October 2016”, however it has not been made clear as to when they will actually come into effect. The apprenticeship levy was announced in the Summer 2015 budget. The government has now published draft legislation to introduce the levy. The levy will be applicable to UK employers with an annual payroll bill in excess of £3 million and they will be charged 0.5% of the payroll bill. The levy will be used to fund new apprenticeships and is expected to come into force on 6th April 2017. The Government has announced that they are planning to extend Shared Parental Leave to include working grandparents. They are aiming to bring this in by 2018. 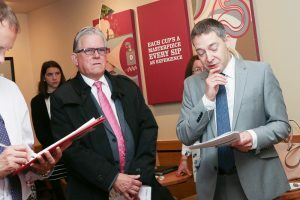 The Government is proposing to simplify taxation on exit payments, the draft legislation retains the exemption from income tax for the first £30,000 of a non contractual termination payment, it also retains the unlimited employee NIC’s exemption, but it requires employer NIC’s to be paid on all payments above £30,000. All payments in lieu of notice will now be taxable irrespective of whether they are contractual or not. This is due to take effect in 2018 and is a bit of a blow to employers who often use the fact that, in some instances, a sum equivalent to notice pay can be paid tax free as a bargaining tool during settlement negotiations. As we all get distracted in the run up to Christmas, it’s easy to lose touch with employment law as well as focusing on your business, so we thought we would provide you with a quick breakdown of what has changed over the past few months and what is likely to change in the foreseeable future. National minimum and Living wage The National Minimum Wage went up on the 1st October. The rate for workers aged 21 to 24 has increased to £6.95 per hour, workers aged 18-20 increased to £5.55 per hour, apprentices and young workers also saw an increase. The National Living Wage remained at £7.20 per hour this October. It is intended that both the Minimum and Living Wage will be increased in April of each year from now on. Equal Pay The hot topic of this year has been the gender pay gap. There has been a substantial development regarding closing the gap in a judgement given by the Employment Tribunal in a case concerning Asda. The Tribunal found that a group of predominantly female store workers can compare themselves to a group of predominantly male distribution depot workers for the purpose of an equal pay claim. Their terms were broadly similar to those of the depot employees – they were all paid hourly and the structure of the terms was broadly the same. This ruling allows for over 7,000 claims to proceed with an estimated value of £100M. The gender pay gap seems to be a problem throughout the UK with a recent study showing that men are paid £2.52 an hour more than women, it will continue to be at the forefront for change in employment law over the coming years. As an aside, in Cumbria, men earn 69% more than women! The Equality Act (Gender Pay Gap Information) Regulations 2016 are due to come into force in April 2017. These regulations will require private and public sector employers with 250 or more UK employees to publish gender pay gap information every 12 months. The first reports will have to be published in April 2018. Dismissal It may sound obvious, but in order for an employer to prove dismissal. The intention to dismiss has to be communicated clearly to the employee. The case of Sandle V Adecco found that an agency worker could not bring a claim for unfair dismissal due to the fact that after her assignment had ended the agency made no effort to find her more work and she did not contact them to say she was interested in more work. The Employment Tribunal found that, in the absence of any communication of dismissal by the employer or the lack of resignation by the employee, the employment relationship continued as dismissal could not be implied. This meant that when she brought her claim for unfair dismissal, she failed as she was still employed.